With the proliferation of FSBO (For Sale by Owner), it is very tempting to consider bypassing a Collingwood Real Estate Agent when thinking about putting your home up for sale. 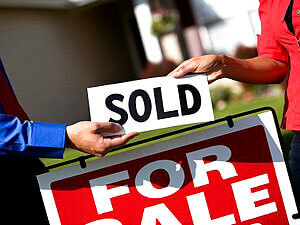 With the advent of the internet you may consider selling your house without the help of a professional REALTOR®. But often, the do-it-yourselfer wishes he had used the assistance of a professional agent. A REALTOR® will offer Convenience and Better access to your home. A real estate agent's job is to be the liaison between the Buyer and the Seller. It is their job to make sure that your listing is well advertised and available to all Real Estate Agents in the Collingwood and Southern Georgian Bay area and arrange appointments to show your home to all potential buyers. This can be a very time consuming job. While putting a listing on the Collingwood real estate market is relatively easy to do, the next step of getting that potential Buyer out to view your property can be the challenge, especially if you as a Seller are busy with a job, family and life generally. Who wants to spend days at a time having to be available to show your home? It would be wonderful if Buyers and Sellers could always count on transparent and reasonable negotiations. As a Seller, it may be that you spend too much time focusing on something you are especially proud of about in your house, when in fact the Buyer does not like it at all. A professional real estate agent is trained to see and promote the things that make your property desirable. Without being insulted as you might be a real estate agent, who acts as your agent, will accent what the Buyer sees as the positive and downplay the negative. You do not have to hear that the exotic wood paneling in your den is something the Buyer truly dislikes and would remove or expect a discount in the asking price. When negotiations get intense, the impartiality of the real estate agent ensures that emotion does not break the deal. There are so many technical and legal issues surrounding the selling of your Collingwood home that must be considered and addressed. The offer to purchase is written to protect you when certain conditions are not met. A professional REALTOR® is be familiar with which conditions should be included and how to protect you while selling your house. Because all Collingwood Real Estate Agents are licensed professionals with CREA (Canadian Real Estate Association), they are obligated to be truthful and honest in their dealings. A REALTOR® is bound by license law to act in their client's best interest, not their own. If you are selling your house on your own, you will likely base the price on comparable Collingwood properties for sale and this may mean that you will keep the money that would be otherwise paid as commission. However, Buyers also think that they can save money by not involving an agent, often offering a discounted price. Unless both Buyer and Seller agree to split the savings, neither can save the commission. While there are those who are capable of selling their own property, the long list of frequently asked questions on many web sites by FSBO companies suggest it may not be that easy. When challenges arise in selling your house, it pays to have a professional Collingwood Real Estate Agent working on your side. Need to Hire a Collingwood Real Estate Agent to sell your House? Contact Christine Smith by email or call (705) 888-0201 to learn more about what she can do for you!